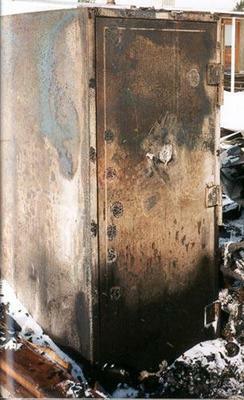 The following photos illustrate the fire resistance of Graffunder products. This fire occurred in a private workshop in Oregon. Due to a no response by fire personnel, the fire burned extremely hot for over two hours. A cabinet holding 22lbs. 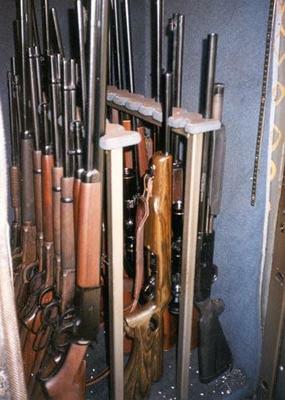 of gunpowder was stored next to the Graffunder B Rate gun and multipurpose safe shown. 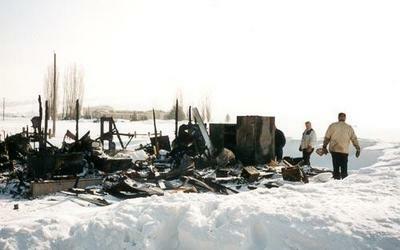 The structure was completely leveled after the fire.